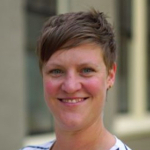 Natasha Fox is a PhD Candidate at the University of British Columbia in Vancouver British Columbia, Canada where she studies genders and sexualities in the context of the 2011 Great East Japan Earthquake. She has been GLOBE's research assistant since 2014, and her duties include running the GLOBE Board of Directors' day to day affairs and contributing to GLOBE's ongoing research activities. Medha Satish Kumar is a post-doctoral research fellow at Simon Fraser University, Canada. She has experience in the field on cross-cultural management research including scholarship in the areas of international employee research, career progression, human resource management and climate. 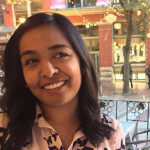 Medha has been GLOBE’s research associate since 2016, and her duties include supporting GLOBE research activities, data analysis and project coordination for the GLOBE 2020 studies. 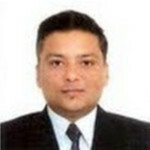 Anirban Kar is a research coordinator for the GLOBE project. He is a Postdoctoral Fellow and a Sessional Instructor at Beedie School of Business, Simon Fraser University. Anirban acquired a PhD degree in International Management and Organization from the University of Victoria, Canada, a Master of Science (Management) degree, majoring in Finance, from the University of Lethbridge, Canada, and a Chartered Accountant designation from the Institute of Chartered Accountants of India. Anirban enjoys working on cross-cultural issues and in cross-cultural environments.